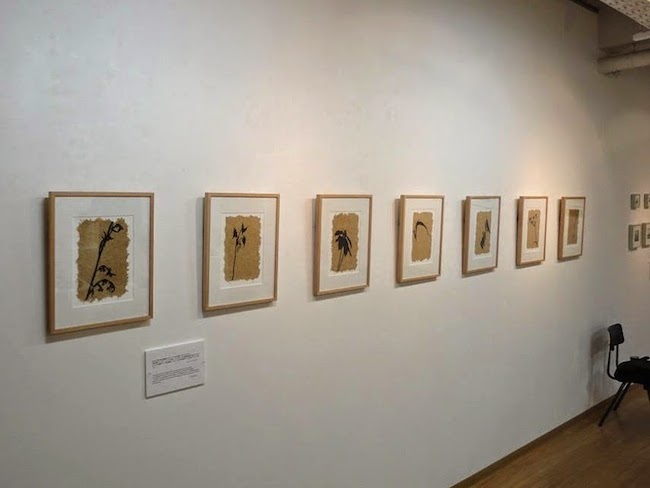 A Michigan artist prints the shadows of endangered plants on handmade paper crafted from the invasive plants that threaten them. When she was selected as one of four Michigan artists to present their work for the 2014 Art from the Lakes art exchange program in Shiga, Japan, Kramer found an incentive to get serious about her shadow hunting. 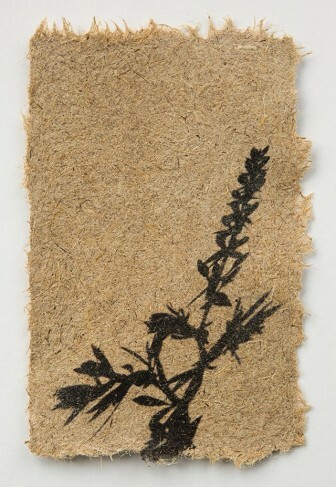 The East Lansing, Michigan, resident transfers the shadows of endangered and threatened plants onto paper constructed from invasive plant pulp. Making the paper is not an easy task, and one that is especially hard on her blender. “I’ve broken two parts so far,” Kramer said. The process is intensive. 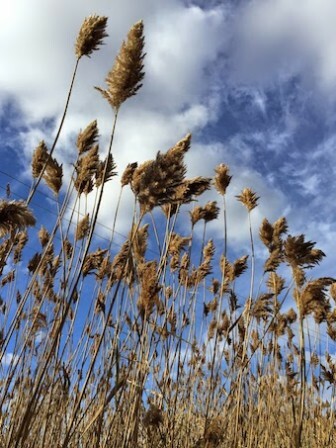 Kramer makes pulp out of invasive plants, like phragmites stalks, garlic mustard, common buckthorn, reed canary grass and a few others. She boils the plants down, mixes them with soda ash and then blends the solution two to three times. 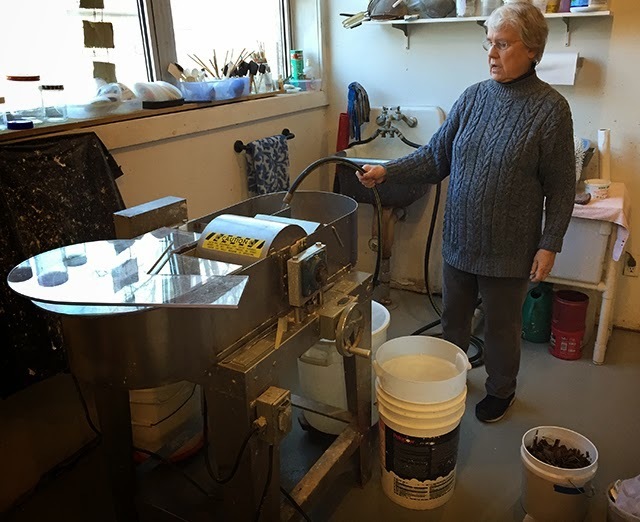 Kramer borrows an industrial-sized beater from the Out of Hand Papermaking Studio in Ann Arbor, Michigan, to beat the pulp. The University of Michigan’s Matthaei Botanical Garden and Michigan State University’s WJ Beal Botanical Gardens offer the easiest viewings of endangered plants, she said. But Kramer finds that private owners, such as plant enthusiasts, have the best gardens to photograph. They generally have multiple plants of one variety, and Kramer can manipulate the plant. Finding them is a challenge because many garden keepers keep their plants secret in fear of poaching, she said. When the perfect image is captured, Kramer transfers the shadows onto her hand-made paper using transparency film. “I like that it’s all natural” Kramer says. The only chemicals used are soda ash and hand sanitizer during the shadow transfer. The project will be shown at the Lansing Art Gallery from Jan. 8 to Feb. 26. Kramer hopes her 30 prints will engage and educate her community. She is partnering with the Michigan Nature Association to provide educational pamphlets that teach the public about planting native plants, properly disposing of invasive plants and about conservation in general. Many of the photographed species are endangered because of invasive plants. “There’s a lot of opportunity [to learn] for different kinds of people,” Kramer said. Kramer’s pieces will soon be available on janekramer.com. A portion of the sales will be donated to the Michigan Nature Association. Editor’s note: This story was updated Oct. 21, 2015, to correct the name of equipment and the process it was used on. Wonderful that someone has found a positive use for invasive plants. Wonder if we can use them to make paper rather than use trees?